Published on January 10, 2016. The fundamental question we addressed in this work is how do we engage differently with each other and with social media sites at different times and contexts. In particular, we looked at several measures of engagement around times when people posted to Facebook. 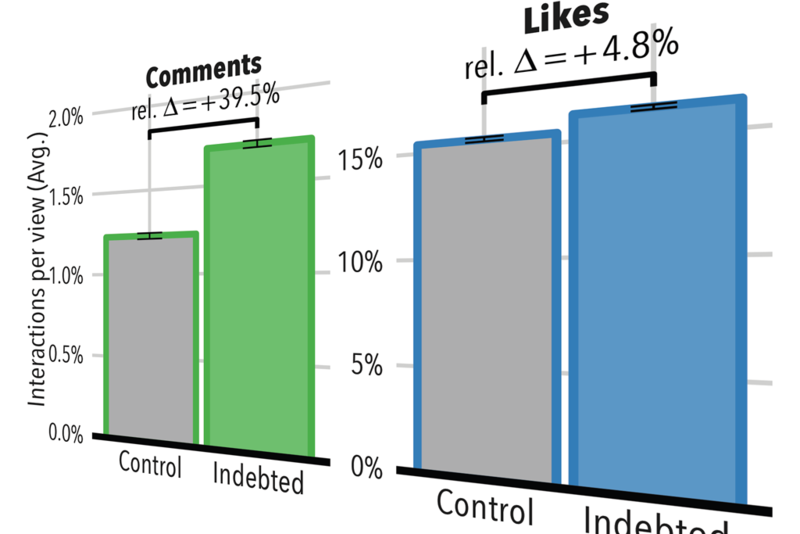 We drew on existing theories from communication and social psychology to formulate hypotheses regarding the motivations for visiting Facebook, changes in the distribution of attention to content, and shifts in decisions to interact with others. Our methodology for addressing the above questions is quite unique. We used a within-subject (i.e. comparing each person to herself), observational data analysis of deidentified log data of Facebook activity from a sample of 2.4 million people(!) over a period of 9 days. In our design, we observe the actions individuals chose to take on Facebook, without any intervention, around times of posting and another comparable activity, like liking or commenting on another's post. The use of "Big Data" in this case adds to previous knowledge in a manner that is objective, representative of the phenomena as it happens in "real life", and that is very hard to measure otherwise. Previous work on the subject mostly relied on interviews and self-reported measures. Our use of a large sample of people in conjugation with objective measures of engagement allowed us to find small and medium effects that are unlikely to show up in interviews and surveys. In addition, it's hard to design an experiment that affects people's actions without inadvertently affecting the surrounding engagement around the action. An increase in self-motivated site visits after posting. A small but substantive increase in the consumption and interaction with friends' content, but not others. A large and immediate effect of what we think is direct reciprocity. To know more about these, you'd have to read the paper! The work is far from being perfect, of course, and as we discussed in the paper has major limitations. However, I believe that the work is a good first step in a direction to help Facebook and other social network providers think of ways to build better systems for people.